Only available on best flexi rates and walk-in rates booked via swiss-belhotel.com or the participating hotel directly. The member should provide his/her Qantas Frequent Flyer membership number upon check-in or check-out. The hotel may request valid ID for verification. 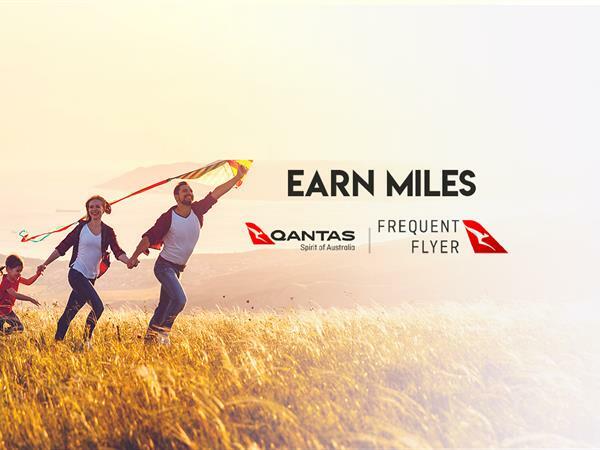 Qantas Frequent Flyer membership and Qantas Points are subject to the terms and conditions of the Qantas Frequent Flyer Program. Qantas Points will only be awarded to the member who checks-in. Members cannot earn Qantas Points for another guest's stay. The name on the reservation must match the name on the Qantas Frequent Flyer membership exactly. Qantas Points cannot be split between two or more members occupying the same room. Qantas Points are not earned on cancelled bookings. Qantas Points are earned on no show bookings provided the member has paid for the booking in full and the booking has not been cancelled. Allow up to six weeks after check-out for Qantas Points to be credited to your account. Triple Qantas Points offer is only available at participating hotels booked directly or via swiss-belhotel.com. Blackout dates apply. Valid for booking made prior to 31 May 2019 GMT+7 time and stay between 15 February to 31 May 2019.